It’s all how you look at it. 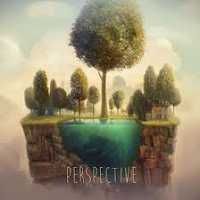 British composer Helen Jane Long returns with album number six called Perspective. Her trademark signature of sophisticated strings counterpointed to passionate piano holds up well as she adds another satisfying performance to her impressive repertoire. The recording deftly defies the well-known quote “what you see is what you get” as her lush orchestrations allows your imagination to see things from every direction possible. Especially from within. Long’s music is neo-symphonic with a touch of cinematic thrown in and the results are always quite pleasing. The album has eleven tracks. The first tune is called Outside and it has a powerful melody. The music contains multitude of textural dynamics which proved to be the case for all of the songs on the recording. The piano takes the lead and the full orchestra balances the motif. Are we outside looking in or we peering at the world from inside? This arrangement gives us a choice. There is a sense of determination to the composition Journey. The tune has a positive flow and suggests that there is an important destination, a prize, or a promise to keep. Nothing can stay this traveler from completing the course. This one had an exhilarating tempo and I liked it for that. The pace changes in the title tune, Perspective. The tempo is moderato, but it gives us plenty of opportunity to look about. Long’s energetic incursion lets us imagine our own views, but with the help of some very commanding theme music. It is the refrain to our own perspective. One of my many favorites on the album is a piece called Overwhelmed. After all, who isn’t these days? The intro is a tick-tock reminder that time flies. The boomy cello in the background is the voice of chaos. The piano becomes the guidance we need in our daily lives, but self-discipline is a fleeting concept. Another favorite is the ebullient composition Arrival. I cannot help but associate the term with the film that came out a few years ago. Like the film, Long’s theme is riveting and wholly passionate. It is the start of something bigger than one can imagine. As in any contemporary map you see today, “You are here”. The tune Messenger is lively, but inviting. Who is the messenger? And what of the message? Plucked strings fashion the percussion for this notable piece. The tune is intricate with its blend of high and low strings and the piano merges politely to give this body and verve. And is it obvious? Could the messenger be our own heart? All we need do is listen. The music of Ignite is tumultuous and moody. It is a formidable piece, bold, throbbing, and animated. There is fire in the belly, and the presence of an indomitable spirit. How Long can inject so much spirit into a little more than three minutes of music is engrossing. This is literally, driving music. The cadence completely changes on the final tune Fallen. Slightly slower than andante, the music swirls about, but never aimlessly. It has a direction and hopefully it is up, but the music has such a ring of finality in it. Perhaps it is retrospective and that is also a part of perspective. There is an innate sadness to the tune that was markedly thought provoking. To my knowledge, there are only a handful of contemporary composers that can exude this much passion and still ask the listener to think about the direction in which the music is taking them. Helen Jane Long is one such composer. From my perspective, hearing is believing. This is an excellent recording and highly recommended.